Crush the ramen noodles in the package. Open the ramen noodle packages and pour into a large bowl. Keep the beef flavored seasoning packet to the side. 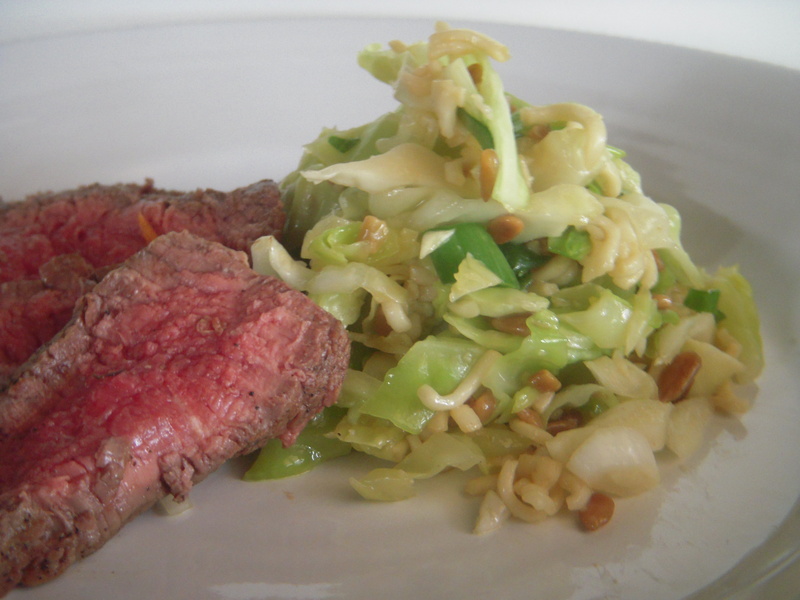 Layer the chopped cabbage or the bag of coloeslaw (dry) over the noodles. Top with the green onions and sunflower seeds. In a separate bowl, mix the two beef seasoning packets with the oil, vinegar and sugar. After mixing well, pour mixture over salad. Cover and let sit for at least 8 hours. Mix salad before serving.